I am excited to announce the release of our new 2014 Glenwood Cellars Pinot Noir. 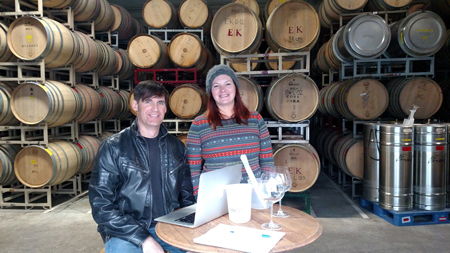 This is our second effort with the very talented winemaker Kent Humphrey and his assistant Hanna Chort (of Eric Kent Wine Cellars). As I have mentioned in an earlier post, our 2014 Pinot Noir is a blend of four different wines from three different vineyards in the Carneros Region. The Carneros AVA is a 90 square mile region situated at the base of the southern tip of the Sonoma Mountains, at the meeting point of Napa Valley and Sonoma Valley. The area is divided between America’s two most famous wine-producing regions – the eastern half of Napa and the western half of Sonoma. Eighty-five percent of the blend of our Pinot Noir comes from two producers in the Carneros Region while the remaining 14.5% comes from two different sections of a third vineyard. “Our 2014 Pinot Noir once again focuses the spotlight on Carneros, beautifully complemented with some dramatic cool-climate sites on the outskirts of the Russian River Valley. 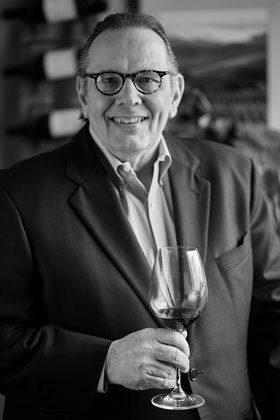 “Lighter in color than our 2013, this vintage demonstrates the captivating combination of elegance and power that makes Pinot such a global phenomenon. A beautiful perfume of strawberry, bright plum, spiced tea and sweet pipe tobacco invites you in. The palate then takes over with more juicy strawberry, cranberry and darker plum followed by a smoky, savory spice box wrapped in velvety soft tannins. 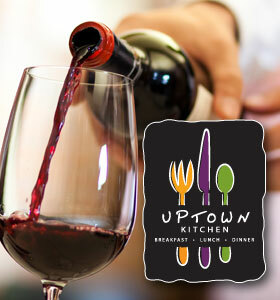 This wine is exactly why people say that Pinot Noir goes so well with everything! This is still a very young wine and will only get better with age. I am sure that this wine will take on a degree of elegance that will make it a true pleasure to drink. We produced 177 cases of this wine. 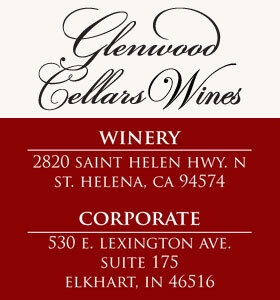 Ask for the Glenwood Cellars Pinot at your favorite restaurant or wine shop.